Need to get somewhere? At The Grove, you can get everywhere! Enjoy a convenient location just blocks from the new pedestrian bridge leading to the Minnesota Ave. Metro station, and on the Kenilworth Gardens Riverwalk Trail. Jump onto Route 295 or discover the eclectic shopping and dining of H Street, Gallery Place, and downtown, just a short distance away. Spend more time outdoors. Enjoy our courtyard with water feature and areas for relaxing, and entertaining. To speed up your life, our community also offers reserved parking and garage parking, as well as convenient bike storage. 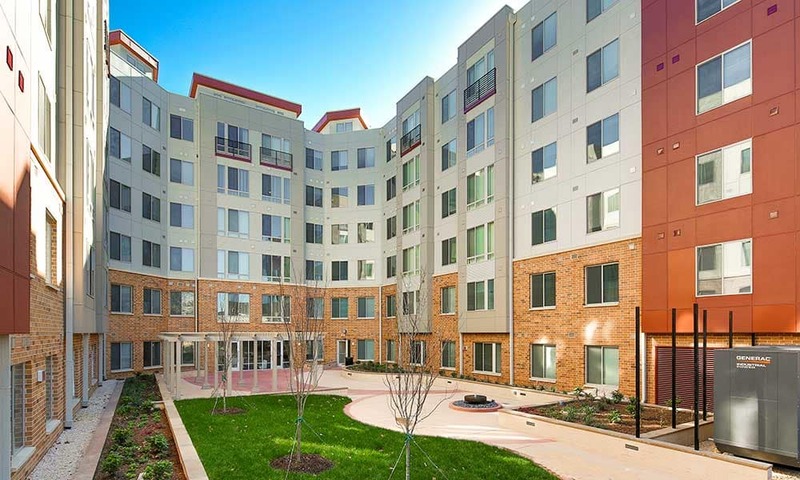 Discover DC with The Grove at Parkside. Call today to set up a personalized walkthrough of our NE Washington, DC, apartments for rent near RFK Stadium. Relax in the lounge seating and catch a game on the TV or get some work done with our free WiFi. At The Grove at Parkside, we make it easy for you to spend more time doing what you love. Regardless of what size apartment home you’re looking for, we'll fit your every need. Make a mouthwatering meal in an absolutely beautiful kitchen that features energy efficient appliances and granite countertops.